Small Business Majority’s inaugural Small Business Leadership Summit brought 115 small business leaders from across the country to our nation’s capitol for three days of education, collaboration and action. The event provided a select group of talented small business leaders, representing 25 states and an array of industries, with the chance of a lifetime: real interaction with policymakers and experts who can help institute the changes small businesses need in order to thrive. 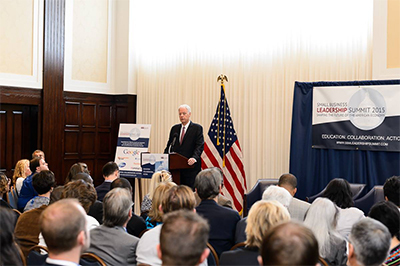 The goal was simple: to discuss topline issues impacting our nation’s small businesses. These issues included accessing capital and ensuring small businesses can obtain the credit they need to grow, adapting to new technologies, creating tax policies that spur growth while leveling the playing field for small businesses, issues surrounding minority and women’s entrepreneurship and critical workforces issues including paid family leave, retirement savings and paid sick leave. 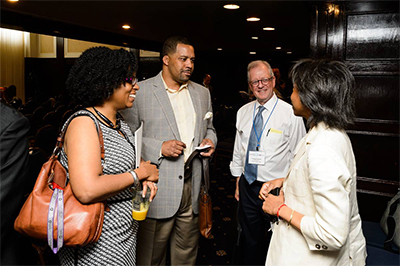 During our full-day conference at the National Press Club, small business owners discussed those issues and more during plenary panels, Q&As with issue experts and in breakout sessions. They shared personal anecdotes with each other about their own business struggles, like having difficulty acquiring capital or finding skilled workers, and they discussed solutions they’d like to see from lawmakers. 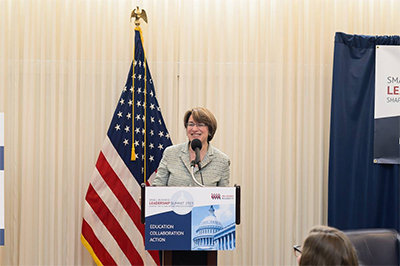 Between those breakout sessions attendees heard from Sen. Amy Klobuchar of Minnesota, the first woman to be elected senator in Minnesota, who discussed workforce issues, innovation and immigration reform. Next, Sen. Kirsten Gillibrand of New York discussed the importance of women entrepreneurship and educated attendees on family medical leave policies. Finally, Maria Contreras-Sweet, head of the Small Business Administration, talked about the problem of accessing capital and creating more opportunities for entrepreneurs to obtain it. Attendees also heard from Patrick Kelley, Deputy Chief of Staff for the SBA; Bill Beach, Chief Economist for the Senate Budget Committee, Republican Staff; Richard Neiman, Head of Regulatory and Government Affairs for Lending Club; and J.D. Harrison, small business reporter for the Washington Post, among others. That night, our attendees gathered at Google’s D.C. headquarters for a reception and awards ceremony that honored some of the best and brightest. The following day, Summit attendees headed to the White House where they met with senior members of the Obama Administration to discuss important policy issues impacting small businesses. Some of the officials on-hand included Senior Advisor Valerie Jarrett and Jason Furman, Chairman of the Council of Economic Advisors, and Mark Mazur, Assistant Secretary for Tax Policy, among other distinguished speakers. It was an unparalleled opportunity for these small business owners to talk shop with high-ranking policymakers within the walls of the White House. 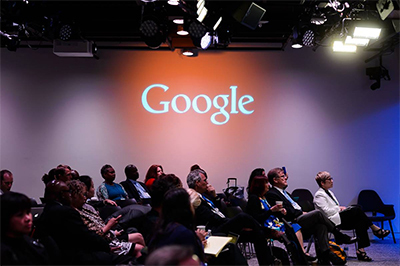 Following policy presentations at the White House, small business owners participated in a technology training session with experts at Google. Since the Summit, our small business owners have been reflecting on their experiences and all they learned in traditional media, social media and through company newsletters. Harland Henry wasn’t the only one who expressed sentiments like these—many of our small business owners took their voices and experiences to social media and created a storm of social media conversation using the hashtag #SmallBizLeaders, which was used more than 600 times throughout the Summit and in the days leading up to it. Meanwhile, our own social media posts around the Summit received a whopping 1.5 million audience impressions and the Summit generated 75 traditional media hits. Small Business Majority will now take policy recommendations identified at the Summit and incorporate them into our policy platform—the Small Business Economic Agenda for 2015-16—released to the media and shared with decision makers to elevate issues of importance to small business owners.